Roy Werbel and his counsel are back with yet another attempt to call out Kellogg USA for its dastardly marketing of "Froot Loops" cereal. As you may recall, Werbel sued Kellogg in state court in San Francisco last October, alleging that the "Froot Loops" name had misled him by causing him to believe that "the product contains real, nutritious fruit." That case was dismissed without prejudice in February, on the grounds that Werbel had not successfully served Kellogg. But Werbel sued Kellogg again on April 19, despite the fact that he faces much bigger problems with this lawsuit than just trying to get the defendant served correctly. As at least two federal judges have previously held, use of the word "Froot" cannot reasonably be interpreted as suggesting the presence of real "fruit," not least because "froot" is not real, and real fruit does not come in "loops." See, e.g., Videtto v. Kellogg USA, 2009 WL 1439086 (E.D. Cal. 2009) (noting that the ring-shaped cereal "does not resemble any known fruit"); McKinnis v. Kellogg USA, 2007 WL 4766060 (C.D. Cal. 2007) (making a similar observation). 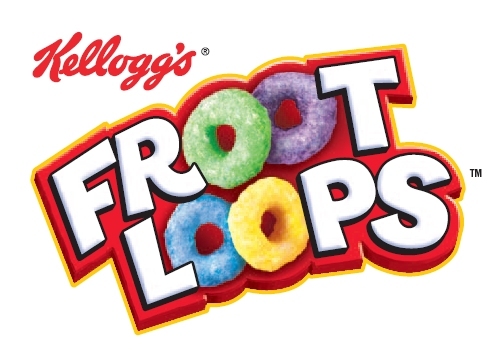 Yes, you are reading correctly — there has been more than one similar "Froot Loops" case, and in fact there have been at least four such filings (counting Werbel's twice). And for what may be obvious reasons, if this claim is being made there is quite likely to be a similar claim about "Crunch Berries" (emphasis added) somewhere nearby, as there was last summer (Sugawara v. PepsiCo) and again in the fall when Roy Werbel showed up in San Francisco alleging that both cereals had confused him. This new lawsuit would therefore be the eighth (to my knowledge) alleging some sort of deception stemming from fictional fruit. Werbel (and his counsel) are apparently undeterred by the fact that to date plaintiffs in such cases are 0-6, with a seventh loss not far away. I selected Sugawara and Videtto as my "Lawsuits of the Year" for 2009, putting them at the top of a field of truly strong contenders. Maybe someone should tell Roy Werbel that there is no actual prize associated with this selection, because he seems to be trying to win it for 2010. Actually, I am hereby telling him that, so that I don't get sued if I fail to select his cases and/or to give him a prize as a result. Although if he did sue me, I would enjoy that immensely.